I haven't written a really personal post in a while and figured with Valentine's Day coming up I thought that it was time for a little romance! It Must Have Been Meant To Be seemed like the perfect title for this post….I think you will understand why soon enough! My husband and I have known each other since preschool. We grew up in the same small town that we currently live in. We are the same age (technically I am 6 months younger, lol) and went to school together from preschool through 7th grade. My husband's family moved to a neighboring town when we were in middle school. I still saw him occasionally at games or school events because he still had some close friends at my school. My husband says that he had a crush on me even in elementary school….but I was just too cold-hearted to notice! I remind him that he had his fair share of girlfriends along the way! Last year my mom was going through boxes of photos and mementos and she called to tell me she had found something I would want to see! 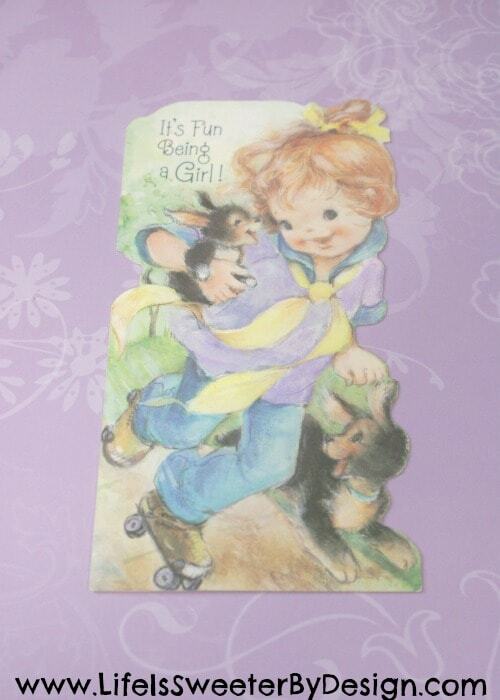 We went over and my mom pulls out an old birthday card. I had invited Daniel to one of my birthday parties in elementary school. For some reason we still had the card he gave me at that party in a box of memories. 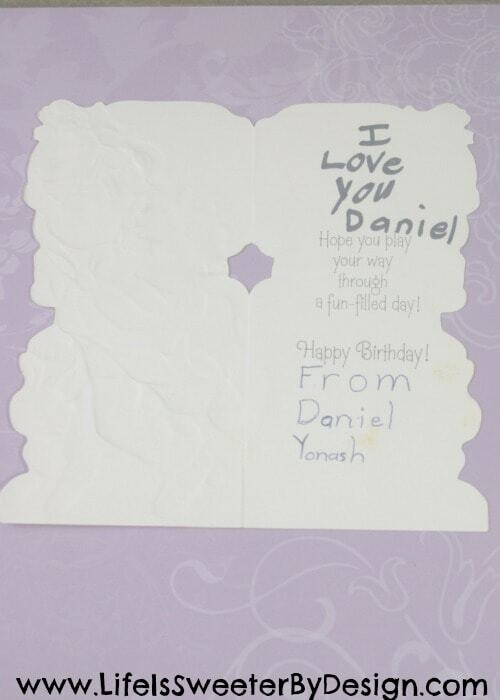 He had signed the card casually enough….but later I had written in marker at the top…..I LOVE YOU DANIEL. It must have been meant to be! Our marriage is definitely not perfect…..we are both extremely hard-headed and stubborn….and we both love to be right….but I do believe that God brought us together as young children….and back together as adults! I am so thankful to have my husband as my Valentine and my best friend! 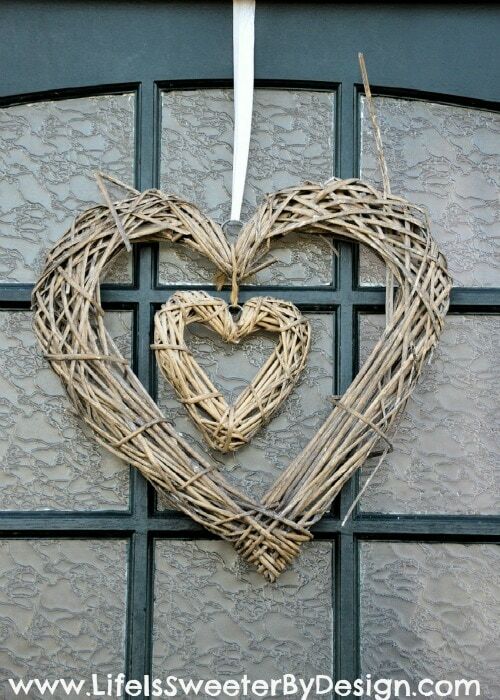 I hope you have a blessed Valentine's Day! 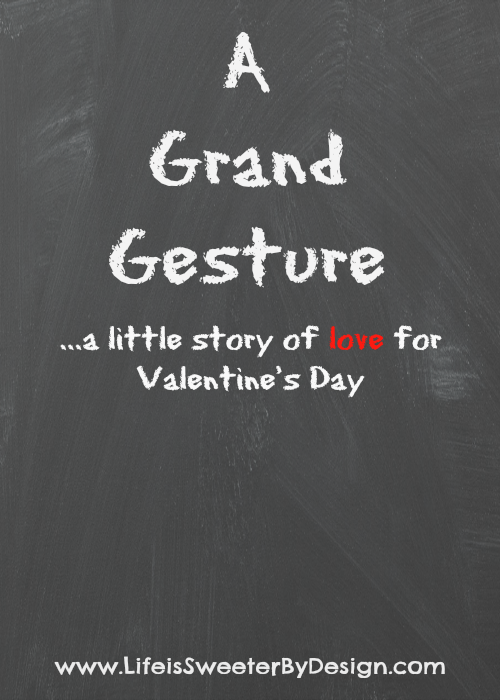 If you want some more warm fuzzies…read about a Grand Gesture my husband made one day that knocked my socks right off!